Isabel Fargo Cole is a U.S.-born, Berlin-based writer and translator. Her translations include Boys and Murderers by Hermann Ungar (Twisted Spoon Press, 2006), All the Roads Are Open by Annemarie Schwarzenbach (Seagull Books, 2011), The Jew Car by Franz Fühmann (Seagull Books, 2013), Selected Essays by Friedrich Dürrenmatt (Seagull Books, 2013), “I” by Wolfgang Hilbig (Seagull Books, 2015), and The Sleep of the Righteous by Wolfgang Hilbig. 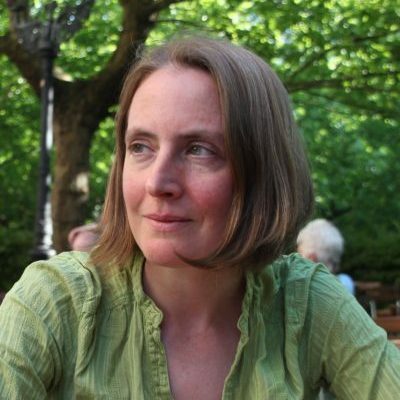 In 2013 she received a PEN/Heim Translation Grant to translate Franz Fühmann’s At the Burning Abyss, and her translation of Fühmann’s The Jew Car was shortlisted for the Oxford-Weidenfeld Prize. She is the initiator and co-editor of no-mans-land.org.